Nowadays, due to lifestyle changes and over-consumption of foods with high sugar content, the cases of oral diseases are on the rise. These conditions can be prevented and treated naturally and inexpensively using aloe vera. According to WHO, oral health refers to a state of being free from the mouth or facial pain, oral diseases including gingivitis, periodontitis, mucositis, etc., infections, sores and other conditions that might limit an individual’s ability to bite, chew, smile and psychological well being. Inflammatory oral diseases such as gingivitis (inflammation of gums), aphthous ulceration (oral sores), can cause painful ulcers and sores in the mouth, limiting an individual’s ability to perform basic functions such as chewing, talking, etc. These sores can cause bleeding in the mouth, and can even turn cancerous. Plaque deposits on the teeth can ruin the overall aesthetic of the mouth, and the bacterial biofilm can lead to oral inflammatory diseases. These diseases can cause tooth loss and can be related to heart attacks and other conditions. Therefore it is important to maintain oral health and take the necessary precautions to avoid these conditions. Aloe vera has been proven to be extremely helpful in preventing and treating oral conditions and improving oral health in many people. Let’s find out more about this magical herb. Aloe vera is a plant belonging to the Liliaceae family. The name Aloe is derived from the Arabic word “Alloeh” meaning shining bitter substance while “vera” means “true” in Latin. Aloe vera is a medicinal herb that grows in tropical climates throughout the world. It can be found in many products such as skin lotions, beverages, ointments, etc. It has a whole array of uses and health benefits. Aloe vera contains a plethora of vitamins, minerals, antioxidants and other active substances that give it antibacterial, antioxidant, antitumor and anti-inflammatory properties. It has a gel-like substance in its fleshy leaves that are used in many products for its properties in soothing burns, irritation, and inflammation. It has also been observed to display antiplaque effects. The next section will focus on the means by which aloe vera helps in maintaining oral health. Aloe vera promotes oral health in several ways. It’s anti-inflammatory, antioxidant, immunomodulating and wound healing properties help in the treatment of oral inflammatory diseases such as mucositis, stomatitis and periodontal diseases such as gingivitis and alveolar osteitis. Plaque is a sticky substance that sticks to the surface of teeth and forms a yellowish biofilm containing bacteria. The main cause of this is improper brushing habits. This is problematic because the bacteria present in the plaque can cause tooth decay and oral diseases. Bacteria like Streptococcus mutans cause the breakdown of the tooth enamel by interacting with the food and drinks we consume. It especially interacts with sugars and complex carbohydrates to form an acid that causes the damage. Aloe vera has been proven to be effective as an antibacterial and antiplaque agent. To overcome these drawbacks, alternative herbal treatments are being used to fight oral diseases. Medicinal plants contain phytochemicals (chemicals present in plants, natural chemicals) which can be good alternatives to synthetic drugs. Aloe vera possesses chemicals like anthraquinones, salicylic acid, and acemannans which contribute to its antibacterial properties. The strongest antimicrobial effects are seen in extracts of aloe leaves and the inner leaf gel. Anthraquinones are phenolic compounds found in Aloe Vera’s sap. They are potent antimicrobial agents. Salicylic acid is an aspirin-like substance that shows high antimicrobial and anti-inflammatory powers. A 4-day study tested the efficacy of Aloe vera mouthwash on the dental plaque as compared to benchmark control chlorhexidine (commonly used in mouthwash as an antiseptic) and placebo (saline water). It was observed that aloe vera gel was very effective in reducing plaque and had no side effects. Chlorhexidine was also effective in plaque removal but showed side effects like teeth staining. Thus, aloe vera gel was a better alternative. In a study conducted by George et al., the antimicrobial activity of aloe vera gel branded as “forever bright tooth gel” and two popular kinds of toothpaste were compared. The results showed that aloe vera tooth gel and the toothpaste were equally effective against microbes like Candida albicans, S. mutans etc. But aloe vera showed an enhanced effect against S. mitis (bacteria mainly responsible for dental caries) despite the absence of additional fluoride. Aloe vera gel doesn’t contain harsh abrasives found in most toothpaste and is hence gentler on teeth and is a better alternative for people with sensitive teeth. Antioxidants like vitamin C present in aloe vera prevent teeth plaque, bleeding and swelling gums. Due to its ability to remove yellowish plaque from the teeth without causing enamel abrasion or teeth staining, aloe vera is considered to be a model teeth whitening agent. What does this mean? Aloe vera is a potent antimicrobial agent and can be very effective in plaque removal. It prevents tooth decay, has almost no side effects and is completely natural. It can thus be used as a model teeth cleaning and whitening agent. A root canal is used to repair and save a tooth that is badly damaged and may cause abscesses and problems if left untreated. In some cases, root canal causes an infection due to dying pulp remnants. In these cases, the infection can spread from a tooth to other parts of the face, neck or head. Since aloe vera is an efficient microbe killer and has no adverse side effects; it can be added in the filling material for root canal surgeries. A study was conducted to observe the antimicrobial effects of aloe vera in dental surgery with a commonly used material such as Calcium hydroxide, zinc oxide, iodoform, etc. against 18 strains of bacteria. It was concluded that the addition of aloe vera provided superior antimicrobial power against most of the bacteria as compared to the exclusive use of these chemicals. Placebo showed no such effects. It is also used as a sedative dressing and healing promoter because it relieves pain, inflammation and can act as an effective lubricant when inserted into the tooth socket. What does this mean? The various antimicrobial, anti-inflammatory and lubricating properties of aloe vera make it a suitable herbal medicine to be used in dental surgery procedures such as root canal. It is very important to get dentures that fit your jaw properly because ill-fitting dentures can lead to various problems such as bacterial and fungal infections, change in jaw structure, problems of the digestive system, etc., limiting common functions like speaking and eating. Being a very effective antibacterial, aloe vera can be increasingly advantageous in this case. The polysaccharide “Acemannan,” present in aloe vera, can act as an adhesive which can be used for the proper fitting of dentures, thus reducing inflammatory irritations. Considering the sticky, viscous nature of acemannan, a denture adhesive was theorized and tested for adhesive strength in wet and dry conditions. Using the results of the evaluation, a stable and highly adhesive product was formulated while ensuring minimum toxicity. Aloe vera is also used and applied to dental implants to decrease inflammation and chances of microbial infection. Gutta percha cones are used in the root canal. Gutta percha is used as a filling material to fill up the canals of the tooth which is then sealed using adhesive cement. A study revealed that aloe vera was a very effective agent in decontaminating gutta percha cones and holds a promising future as a storage medium of GP cones. What does this mean? Aloe vera contains a sticky, viscous, antimicrobial polysaccharide known as Acemannan. It can be used as a model adhesive for fitting dentures and avoid inflammatory reactions with no adverse effects. Aloe vera is also suitable for decontaminating gutta percha cones used in root canals. Oral inflammatory diseases are mainly caused by viral, bacterial and fungal infections. Other causes include injury or allergies, tobacco or drug use, radiation therapy and systemic disorders (bloodstream infection). • Canker sore: Also known as the apthous ulcer is a pale yellow colored ulcer with an outer red ring, usually inside cheeks, tongue or lip. • Cold sores: They are fluid-filled sores occurring on or around the lips. They later crust over with a scab and are associated with tingling or a burning sensation before the actual sores appear. • Mouth irritation caused by burning one’s mouth, diseases like gingivitis, etc. Aloe vera’s efficacy as an antimicrobial and anti-inflammatory agent is well known. Studies have also shown that it works efficiently against viruses like the herpes virus. Aloe contains 75 active compounds, including vitamins, enzymes, minerals, sugars, etc. These compounds help in reducing pain and inflammation. Aloe vera reduces the production of prostaglandin, lipid compounds which causes inflammation, thus having an anti-inflammatory effect. Aloe vera shows enhanced healing powers. It helps in fast healing of ulcers and sores, thus preventing them from getting infected. Mucositis is characterized by painful inflammation and ulceration of mucous membranes lining the digestive tract. t is usually an effect of chemotherapy and radiotherapy treatment for cancer. Head and neck cancer patients are treated with radiotherapy. Thus, the chances of radiation-induced mucositis occurring in these patients are higher. They are also at higher risks of developing oral candidiasis (yeast infection). Aloe vera has beneficial effects on wound healing, mucous membrane protection, and treatment of oral ulcers. In addition to this, aloe vera possesses anti-inflammatory antifungal, antibacterial and antioxidant properties. Studies indicate that oral aloe vera mouthwash protects against radiation induced mucositis by its wound healing and anti-inflammatory properties. It also reduces the oral candidiasis of patients undergoing radiotherapy for head and neck cancer due to its antifungal and immunomodulating properties. Thus, aloe vera can be effectively used as an agent for treating radiation-induced mucositis and candidiasis in head and neck cancer patients. Oral lichen planus is a chronic inflammatory condition that affects mucous membranes inside the mouth. It appears as white, lacy patches; red, swollen tissue or open sores. It may cause burning pain and discomfort. 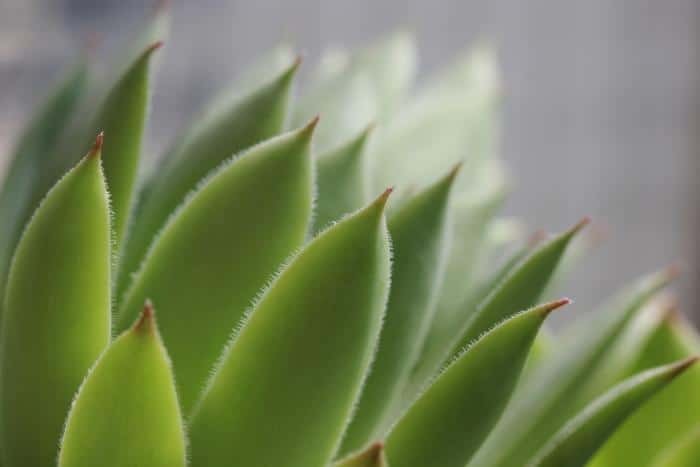 An eight-week study was conducted on 54 patients suffering from oral lichen planus to compare the effectiveness of aloe vera against a placebo in the superficial topical treatment of the condition. The patients were randomized into two groups, A and B, receiving aloe vera gel or placebo respectively. A good and positive response was seen in almost 80% of the people treated with aloe vera, and 7% of the patients showed no signs of oral lichen planus after eight weeks. In 9 patients, burning pain completely vanished. No significant side effects or complications were observed in either of the groups. The results declared that aloe vera gel was far more effective in treating oral lichen planus than placebo and can be considered a safe and effective alternative treatment for patients suffering from this condition. Aphthous stomatitis is the formation of benign, non-contagious mouth ulcers. It is the most common oral lesion. A double-blind placebo (dummy ill) controlled clinical trial was conducted to observe the efficacy of aloe vera in treating aphthous stomatitis. 40 patients with minor oral aphthous lesions were randomly assigned to either group A (aloe vera gel) or group B (placebo). The healing time, pain score, lesion, and surrounding inflammation diameters were recorded for two weeks. At the end of 2 weeks, it was observed that aloe vera gel (2%) was not only effective in decreasing recurrent aphthous stomatitis patient’s pain score and wound size but also the wound healing period. Acemannan, a polysaccharide present in aloe vera is shown to be effective in the treatment of oral apthous ulceration. Skin patch test was performed on 100 healthy subjects and 0.5% acemannan preparation was applied to the oral mucosa of the lower lip of 50 participants 3 times/day for a week. Measurements of ulcer size and patient satisfaction ratings were performed on alternate days. It was observed that the effectiveness of acemannan in reducing ulcer size and pain was superior to that of control. No subject exhibited allergic reaction or side effects to acemannan. Thus, acemannan can be a beneficial treatment for oral aphthous ulcers in people who wish to avoid steroid medication. What does this mean? Aloe vera has anti-inflammatory, antioxidant, antimicrobial and immunomodulating abilities. Therefore, it can help in reducing the size and pain of oral ulceration and inflammation. As it is completely natural, it can be a beneficial stomatitis and mucositis treatment for people who wish to avoid steroid medication. “Perio” means “around” and “dontal” means teeth. Thus, periodontal diseases are infections of structures around the teeth, including gums, periodontal ligament, and alveolar bone. The earliest stage is characterized by gingivitis (infection and inflammation of gums). In a more severe form, all of the tissue is involved. The main causes of periodontal diseases are the various types of bacteria present in dental plaque. Infection in your gums can even affect your overall health. People who smoke and use tobacco are at a bigger risk of developing periodontitis. Genetics, misaligned teeth/ braces, stress, fluctuating hormones, etc. are some of the main factor accentuating periodontal diseases. The effect of aloe vera in the reduction of gingivitis was observed in a double-blind test. Subjects were randomly allotted group A (Aloe vera containing dentifrice) and group B (fluoridates, non-aloe vera containing dentifrice). Plaque index and gingival bleeding index were assessed initially and at the end of the research at day 30. It was observed that there was a significant reduction in plaque and gingivitis as compared to initial observations, in both the groups. Aloe vera didn’t have any side effects and was effective in controlling gingivitis. Aloe vera shows an inhibitory effect against microorganisms in plaque biofilm. Thus, reduction in plaque bacteria, due to antibacterial effects of aloe vera, causes a reduction and control of gingivitis. Alveolar osteitis is the inflammation of the alveolar bone present in the mouth. It is classified as periodontal diseases. Acemannan, present inside aloe vera, has been observed to reduce the incidence of alveolar osteitis. It is usually a postoperative complication of tooth extraction. In a study, the incidence of alveolar osteitis in patients treated with SaliCept patches (containing Acemannan hydrogel) was compared with the incidence in patients treated with non-aloe vera products. The evaluation was performed on the records of 587 patients who were treated with non-aloe vera product, and a prospective trial was conducted in which 607 patients had 2 SaliCept pouches replaced immediately after tooth extraction. Analysis revealed that SaliCept patches significantly reduce the incidence of alveolar osteitis as compared with non-aloe vera product based treatment. What does this mean? Aloe vera helps heal periodontal diseases (diseases of surrounding areas of teeth) naturally and effectively with no side effects. It reduces plaque-induced gingivitis and alveolar osteitis in individuals and helps maintain the overall well being of the body. Oral submucous fibrosis is a chronic, premalignant lesion of the oral cavity. It is characterized by inflammatory reactions and fibrosis (thickening and scarring of tissue) of submucosal tissue. Due to aloe vera’s anti-inflammatory, antioxidant, wound healing and antitumor activities, it is used in the treatment of oral submucosal fibrosis. It blocks prostaglandin production to reduce inflammation. It also increases the antioxidant availability in the body. It contains polysaccharide in the gel of its leaves, such as Acemannan, which has anti-inflammatory and immunomodulating activities. The sterols present in aloe vera have a strong ability to inhibit inflammation similar to cortisone (inflammation relieving steroid hormone) without any side effects. In a study conducted to evaluate the efficacy of aloe vera in the treatment of oral submucous fibrosis 74 test subjects with the condition were chosen and randomly divided into two groups. Group A patients were treated with aloe vera juice and topical aloe vera gel for three months, and group B patients were given conventional treatment. Patients were assessed for reduction in burning sensation and increase in mouth opening, cheek flexibility and tongue protrusion every month. Both groups showed significant improvements in all the evaluation parameters at the end of the trial period. Increased collagen production helps in healing the wound faster and increases skin flexibility. Aloe vera was found as effective as conventional treatment. What does this mean? Aloe vera contains many hormones, sterols and active compounds that help treat oral submucous fibrosis by acting as anti-inflammatory, antioxidant and immunomodulating agents. It helps treat this premalignant stage and prevents it from causing damage. Aloe vera contains active constituents such as vitamins, enzymes, sugars, amino acids, polyphenolic compounds and saponins which make it useful for therapeutic purposes. The efficacy of aloe vera gel on Streptococcus mutans was studied. S. mutans was isolated from an infected tooth. The antibacterial activity of aloe vera gel was tested using both qualitative and quantitative diagnostic tests. Disc diffusion assay was carried out for qualitative analysis in which a filter paper was impregnated with different concentrations of aloe vera gel and the diameter of zone of inhibition of growth of S. mutans was measured. To determine the Minimum Inhibitory Concentration (MIC)i.e.the minimum concentration of aloe vera gel which is effective against S. mutans, a 96 well plate was inoculated with 100µl of bacterial suspension and 200 µl of dilutions of aloe vera gel. The optical density (OD) of each well was then measured. The aim was to determine the dilution at which no growth is observed (OD<0.05) which will estimate the MIC of aloe vera gel. A significant growth inhibition zone was observed with undiluted aloe vera gel. This showed that aloe vera gel was effective against Streptococcus mutans. The MIC value for aloe vera gel against S. mutans was 12.5 µg/ml. Thus, aloe vera gel is effective in treating dental caries as it inhibits the growth of the causative agent, Streptococcus mutans. Aloe vera gel has bactericidal activity and is extremely effective against the causative agent of dental caries, Streptococcus mutans. This can be well explained by the MIC of aloe vera gel that was found to be as low as 12.5 µg/ml. The antibacterial properties of aloe vera gel are due to the presence of pharmacologically active components such as aloin and aloe emodin which have strong antibacterial properties. Saponins have cleansing and antiseptic properties. Another active ingredient, acemannan exert an indirect bactericidal activity through stimulation of phagocytosis(the process of ingestion of bacteria)by immune cells. Thus, aloe vera as a constituent in toothpaste and mouthwashes can prove to be a preventive method against dental caries. The active constituents in aloe vera gel make it a promising candidate in treating dental caries. Aloe vera is an inexpensive adjunct that can be used in toothpaste and mouthwashes. It is a natural remedy which makes it a simple and safe method of treatment. Myrrh has antiseptic properties, so used in mouthwashes, gargles, and toothpaste. Myrrh gum is also very efficient in treating oral ulcer, arthritis pain, cough, and cold, etc. So aloe- and myrrh- based gels are formulated to cure oral ulcers. This study was conducted to analyze the efficiency and safety aspects of using aloe vera and myrrh gel as a natural oral mucoadhesive gel in curing the recurrent aphthous stomatitis. The study included 90 patients suffering from fresh ulcers (<48-h duration). These patients were instructed to apply either a new natural topical gel containing aloe (0.5% w/w, 30 patients), myrrh (0.5% w/w, 30 patients), or placebo (plain mucoadhesive gel, 30 patients). They had to apply the gel (that assigned to a particular patient) 4 times a day for the duration of 5 days. The evaluation of patients is done at the 4th and 6th day. During result, change in ulcer size, the intensity of pain, redness and ulcer discharge were analyzed; any side effect was also seen. In the result, both aloe and myrrh gel showed good results to treat oral ulcers in their own way. At the 6th day, aloe gel completely healed the ulcer in 76.6% of patients, also helped in relieving from redness in 86.7% and exudation in 80% of patients. But its capacity in reducing the pain intensity was only 31.5%. On the other hand, myrrh gel reduced the pain intensity to 84.4% and ulcer size 41.4%. The total absence of pain was found in 76.7% of patients using myrrh gel. Placebo also decreased ulcer size and pain intensity by about 31.5% and 63.3% respectively. Unfortunately, no statement was made for placebo. No side effect was seen in any patient. Overall, the study showed that both aloe and myrrh gel help in curing the oral ulcer to a great extent insufficient period of time. The researcher conducted further studies to make a new natural mucoadhesive gel having both aloe and myrrh content in it. Aloe vera and myrrh play a crucial role in reducing oral ulcers. Aloe vera shows different activities to heal a wound. These activities are collagen formation, increase cell migration, anti-inflammation, keeping the wound moist. Collagen (a structural protein) formation is increased by the glucomannan (mannose rich polysaccharide) and gibberellin (a growth hormone) found in aloe vera. These compounds bind to the receptor of growth hormone and increase its activity. Due to this, cell proliferation activity is increased and collagen synthesis enhances. Aloe vera also increases the blood supply at the site of the wound. Thus, increases its oxygenation. Skin is mainly hydrated by mucopolysaccharide (long unbranched polysaccharides having repeats of disaccharides) present in aloe vera. Mucopolysaccharide helps to retain the moisture in the skin. Anti-inflammatory effect of aloe vera is mainly due to its capacity to inhibit cyclooxygenase pathway (an enzyme which induces inflammation). Aloe vera inhibits the growth of a fungus named Candida albicans. Thus, shows anti-fungal properties. Also shows anti-viral and anti-microbial properties due to the presence of anthraquinones(naturally occurring phenolic compound). Myrrh has anti-inflammatory as well as a wound healing property. These properties of myrrh are mainly due to its capacity to activate white blood cells. Studies also show that myrrh has immunomodulatory as well as antibacterial and antifungal properties. The mechanism of action of myrrh is similar to an antiseptic or antimicrobial agent. This indicates that both aloe vera and myrrh have the capacity to treat oral ulcer. But the way of treating it is different. Aloe vera generally helps in healing the ulcer while myrrh reduces the pain. The Aloe vera plant or Aloe vera gel might not look as appealing as the branded mouth rinses look, but it is equally effective and has no side effects. A study was conducted and the facts were proved. I’d now get into every detail of this study to put all your queries to rest! For this study, 300 people were recruited. They were randomly assigned to 3 groups, that is, 100 people in each group. Those who had used mouthwash during the study had a tooth extraction, or were on a particular dosage of antibiotics two weeks prior to the treatment were, however, excluded from the study. To one group, the Aloe vera mouthwash was given, to the second one, the mouthwash with chlorhexidine was given. The third group was the placebo group (which simply means the control group, which does not have to actually go through the effects of the treatment). All the 3 solutions could not be differentiated from one another as care was taken to make them look alike, taste alike and feel alike. Right before the study, the plaque from the teeth of each subject was professionally removed as the plaque values were recorded and then brought down to 0. Then, the subjects were instructed to completely refrain from tooth brushing and dental flossing. All they were asked to do was, to rinse their mouths twice a day, with the given mouthwash, once after breakfast and again after lunch for a minute and refrain from rinsing with water or drinking anything half an hour after its use. They were asked to do that for 4 days consecutively. After the 4-day experimentation period, the plaque values were recorded again. Also, the subjects were made to answer a questionnaire and go through a clinical examination. There was a significant decrease in plaque in the groups which had been allocated the chlorhexidine and Aloe vera mouthwashes as compared to the placebo group. There was a very mild difference between the chlorhexidine and aloe vera plaque score which was not statistically significant. Hence, the Aloe vera mouthwash was found to be equally effective as chlorhexidine. Aloe vera mouthwash, being herbal also had another advantage over the chlorhexidine group. In the questionnaire and clinical examination that was conducted, it was found that the many of the subjects that were supposed to use the chlorhexidine mouthwash had a slightly impaired taste too salty foods and drinks and slightly stained teeth (a brownish tinge). Aloe vera has been found to have antibacterial properties. It has compounds such as anthraquinones (they are nothing but dyes) and saponins (toxic compounds) that have antimicrobial activity. It also contains salicylic acid that gives it antibacterial properties. Aloe vera was found to inhibit the growth of bacteria. There is a significant decrease in the multiplication of bacteria upon using Aloe vera. Aloe vera also consists of compounds such as vitamin C, which boosts the immune system and hyaluronic acid which helps combat the swelling and redness of the gums in case the patient is suffering from gingivitis. This is also done by the production of collagen to heal any damage caused by the plaque. Both these compounds, vitamin C and hyaluronic acid are commercially available as tablets and syrups, but Aloe vera is a natural source, unprocessed and devoid of any chemicals. Aloe vera can be used as an effective mouthwash as it is capable of reducing plaque and it has no side effects as compared to the mouthwashes available commercially. It is truly said, that “all that glitters is not gold”. Aloe vera is just a plant, it might not be as beautifully colored and fragrant as the other mouthwashes available, but with it’s properties, availability, and characteristics, it is no less than a treasure! Aloe vera gel can be used to cure mucositis. This is due to its anti-inflammatory, antiproliferative and analgesic properties. The nutritional profile of aloe vera gel is rich in lectin, polysaccharides, superoxide dismutase, vitamin C and E and minerals. The study was conducted in head and neck cancer patients to compare the efficiency of aloe vera mouthwash with benzydamine mouthwash in preventing the radiation-induced mucositis. In the study, aloe vera mouthwash or benzydamine mouthwash was given randomly to 26 eligible head and neck cancer patient who was going to have their radiation therapy. WHO grading system was used to measure the mucositis severity. The goal of the study is to determine the grades of mucositis severity at different intervals between the two random groups. In the result, we find that the grades for mucositis severity at different intervals between the two random groups are similar (for both aloe vera mouthwash and benzydamine mouthwash) i.e. In the initial state: grades are equally distributed between both groups i.e. there is no distributional difference. The interval between radiation therapy and the onset of mucositis: similar grades for both the group (For aloe vera 15.69±7.77 days and for benzydamine 15.85±12.96 days). The interval between starting of radiation therapy and maximum level of mucositis severity: similar grades for both the groups (for aloe vera 23.38±10.75 days and for benzydamine 23.54±15.45 days). After mucositis severity: also similar for both the groups. Therefore both the aloe vera and benzydamine mouthwash have similar efficiency to prevent mucositis. Thus, for the patients suffering from head and neck cancers, aloe vera mouthwash is an alternative agent to prevent radiation-induced mucositis. In nutshell, the result shows that aloe vera can be efficiently used in the treatment of mucositis as it has no toxic effect; also it is a natural product rather than any chemical derivative. Aloe vera is an efficient mouthwash to cure the mucositis. This efficiency of aloe vera is mainly due to its anti-inflammatory, antiproliferative and analgesic property. Aloe vera also exhibits antiviral and anticancer property. Several experiments on animals show that aloe vera also provides protection from sunburn or U.V. damages. The above properties of aloe vera are the result of cyclooxygenase-2 suppression, high antioxidant and immunomodulatory mechanism of it. The proper reason for the anti-inflammatory property of aloe vera is yet not known but it is considered that is due to the inhibition of cyclooxygenase, an enzyme which induces inflammation (i.e. cyclooxygenase-2 suppression mechanism). Aloe vera also exerts wound healing capacity, ulcers treatment, and mucous membrane protection. Wound healing capacity is exhibited by reducing vasoconstriction and aggregation of platelet at the injured site. This will further enhance the oxygenation of the wound and scavenging free radical activity. By inhibiting the collagenase (collagen breaking enzyme, collagen is the most abundant structural protein found in the human body) and metalloproteinase (an enzyme having the metal ion which catalyzes the breakdown of proteins), collagen formation activity is increased, which heal the wound. It also activates immune cells. Thus in this way, the wound is healed by it. Mannose-6-phosphate serves as the important constituent of aloe vera. This helps in the fibroblast proliferation and collagen proliferation. Some researchers consider mannose-6-phosphate as the key enzyme for healing. In the immunomodulatory mechanism, aloe vera increases the production of antibodies and growth factors which further increases its wound healing and anti-inflammatory property. Antioxidant substances in aloe vera also help to eliminate the free radical production and show healing properties. Presence of anthraquinones such as barbaloin and iso-barbaloin in aloe vera confers its antibacterial action. Polysaccharides in Aleo vera exhibit the antifungal property. This implies that the various properties (like anti-inflammatory, antibacterial, healing, immunomodulation, and antioxidant) of aloe vera helps not only to prevent mucositis but also prevent from other diseases like candidiasis. This also balances the nutritional profile of the patient. As the efficiency of aloe vera mouthwash and benzydamine mouthwash have no significant difference, so aloe vera mouthwash should be preferred for the treatment of radiation-induced mucositis. The normal recommended dosage for aloe fractions is 300 mg twice daily. There is no evidence to suggest that it is the most suitable dose but benefits were observed at this dosage. You can also use aloe juice as a mouthwash. Dental plaque- A toothpaste containing aloe vera can be used three times daily for 30 days. Gum diseases- Aloe-containing toothpaste can be used daily for 24 weeks. Osteitis inflammation- SaliCept patch containing acemannan can be applied to the tooth socket once and then again three days after the first treatment. Lichen planus- Aloe gel containing 70% aloe mucilage should be applied on skin twice daily for eight weeks. Aloe mouthwash on mouth lesions can be used four times daily for one month. Radiation induced mucositis (mouth ulcers) – 15-20 ml of aloe solution used in mouth 1-3 times daily for up to 8 weeks during radiotherapy. It is not advised to consume aloe vera in large doses. It is best to consult a health practitioner before use. Concentrated aloe fractions stimulate increased bowel function, and it is recommended to start dosage slowly and increase your intake gradually to avoid intestinal cramping. Use of aloe vera on the skin for a prolonged period can result in skin inflammation, an allergic reaction or delayed wound healing. Diarrhoea has been reported with oral use of aloe latex because it is a laxative. It may also reduce absorption and effectiveness of some oral drugs. People with diabetes taking glucose-lowering medication should be cautious because aloe may lower blood glucose levels. Pregnant women are advised not to take aloe latex unless advised by a registered health practitioner. There have been a few reports of liver problems in individuals taking aloe leaf extract, yet this is uncommon. Consult a health practitioner before taking larger supplements. Aloe vera is considered to be one of the best natural medicinal herbs. It has no significant side effects, unlike the many medications used to treat oral diseases. It possesses various active compounds that are responsible for the medicinal qualities. It’s anti-inflammatory, antioxidant, immunomodulating and wound healing properties help in the treatment of oral inflammatory diseases such as mucositis, stomatitis and periodontal diseases such as gingivitis and alveolar osteitis. The antitumor and anti-inflammatory effect of aloe vera helps in the treatment of oral submucous fibrosis. Due to its antibacterial qualities, it can be used in various ways in root canals and denture fitting. Proper maintenance of oral hygiene coupled with the usage of aloe vera can ensure pristine dental and oral health along with overall well being of the body.